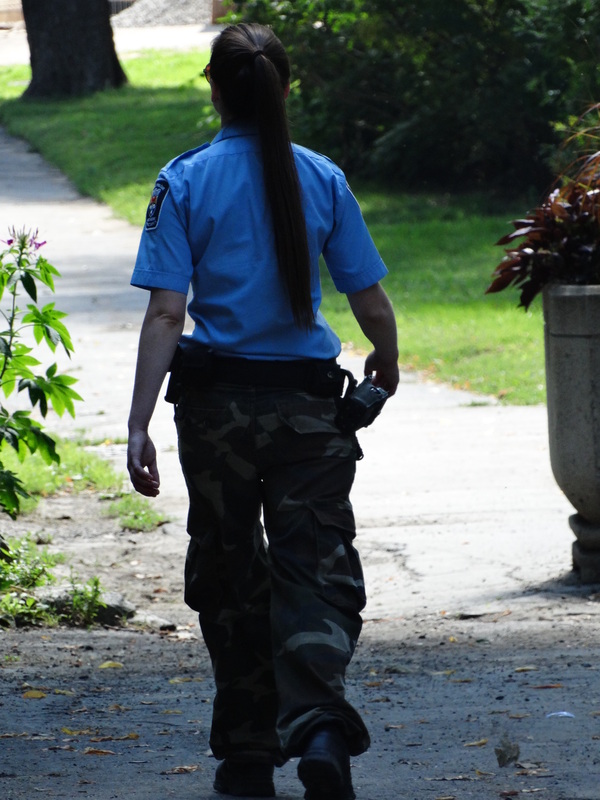 A Westmount Public Security Unit officer patrolling Westmount Park. The camouflage pants are in protest of the Quebec Government’s pension reform proposals (Bill 3). This entry was posted in Uncategorized and tagged Quebec, Westmount, Westmount Public Security. Bookmark the permalink.